Houston Panic Room: Houston Panic Room is a live-action escape room. Come test your puzzle-solving skills and teamwork where brainpower meets willpower in a thrilling 60 minutes to either escape…or panic! How? By solving a series of puzzles using your deduction skills and clues found throughout the room! With three unique and challenging scenarios, there is always an opportunity for you and your team to have fun. Will you escape or will you….Panic? 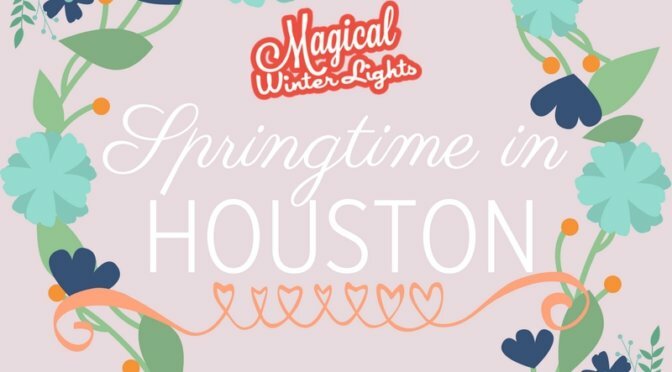 For your springtime in Houston activities, HPR is offering a promotional code for all MWL followers who book/reserve online will receive 15% off their total with promo code: MAKESPRINGMAGIC18. Book in advance as well. Only one code per person. Expires May 1st, 2018. Crawfish Sundays at Southern Star Brewing: It’s Crawfish time! Come get messy with us every Sunday, starting February 18th through Father’s Day, June 17th. From 12-6p Harbor’s Cajun Station Food Truck will be serving up tasty mud bugs and we got that tasty Texas nectar to cool you off. Fresh Crawfish, cold beer, Music, fun, & kids and adults! Come get your bugs while supplies last! Galveston Island Brewing: Galveston Island Brewing presents Flip Flop Fest, Saturday, March 10th, 12-8pm. They will be releasing their new spring seasonal speciality beer, plus live music, food, contests, pin cask tappings & more. Family friendly. Live music from Drums of the Pacific 1-6pm. In Bloom Music Festival: Previously Free Press Summer Fest, In Bloom Music Festival will take over Eleanor Tinsley Park for two days, March 24 & 25, 2018. Some of the line up includes 21 Savage, Ying Yang Twins, Lil Dicky, T-Pain, Mija, and so many more. Alley Theatre: The Alley Theatre is hosting (April 6th – 29th) the World Premiere of CLEO, by Lawrence Wright, which is set during the filming of the 1963 movie “Cleopatra”. It is the story of the scandalous romance of Elizabeth Taylor and Richard Burton. For more info, please visit: https://www.alleytheatre.org/plays/production-detail/cleo **SUITABLE FOR MATURE AUDIENCES. Houston Children’s Festival: The McDonald’s Houston Children’s Festival is the largest children’s festival in the United States. Two days, April 7th & 8th, of games, circus acts, rides, food, beverages and entertainment for all ages centered in Downtown Houston. Created 29 years ago by Child Advocates as an avenue to create awareness and funding to help the neglected and abused children of Houston. Galveston Island Brewing: Galveston Island Brewing presents “Tiki & Tails”, Saturday, April 21st from 12:00 – 8:00 PM. Come out and enjoy their Crawfish Boil at the brewery, plus specialty beer releases, beer specials, and Live Zydeco music. There’s nothing better than crawfish in springtime in Houston. Karbach Brewing Company: Karbach presents their “Love Street Music Festival”, Sunday, May 20th. In the 1960’s on Allen’s Landing sat Love Street; a hot spot of music and social impact. The venue hosted eclectic characters ranging from open mic’ers to the Lizard King himself. Love Street was not only a place, but a state of mind. A place to unwind and let the music refresh your soul. Now we’re bringing the party to you here on Karbach Street with our 3rd Annual Love Street Music Fest! Bluebonnet Fields: Bluebonnets have already begun to bloom in many places across Texas thanks to recent, unseasonably warm weather. Are you still trying to decide which wildflower-enveloped town to visit this year? Consider these favorite locations–listed in no particular order. Texas Wine Tours: One of the best way to visit Texas wineries is to use a tour company that specializes in Texas winery tours. Here is a list of some of the tour companies available.